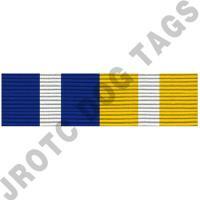 Orienteering NJROTC ribbon Award for Navy ROTC. 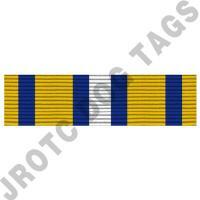 NJROTC Ribbons are slide on style. 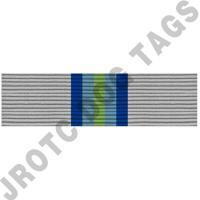 NJROTC Ribbons are sold individually (does not come with ribbon rack or device). 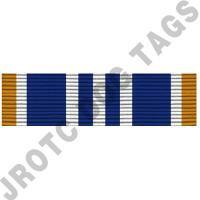 Ribbon racks & devices may be added on to your ribbon. Add ons donot come attached. 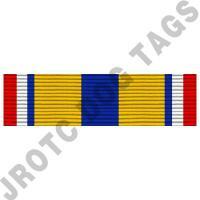 Awarded according to the NJROTC Cadet Manual the NJROTC Orienteering ribbon is Awarded, WHEN EARNED, to any cadet in good standing who has entered any organized orienteering competition, or who meets the orienteering qualification standards. 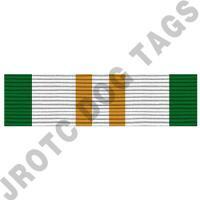 Cadet who has participated in three events other than routine unit activities.